Age : Candidate age must be between 21 - 40 years as on 01/07/2016. 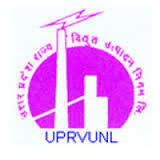 Procedure to Apply : Candidates who are interested in any vacancy can apply on official website of UPRVUNL from 17/08/2016 to 16/09/2016 only. If you want to apply for any of above vacancy then can check official website link UP Jal Vidyut Nigam Limited (UPJVNL) of https://www.digialm.com/EForms/html/form5230/index.html and also can check about online submission of application form.